Gabriele Reuter is a dance artist based in Berlin and Nottingham. She studied contemporary dance and Arts Management at De Montfort University and London Contemporary Dance School before creating her own works in collaboration with other dancers, photographers and musicians since 2001. 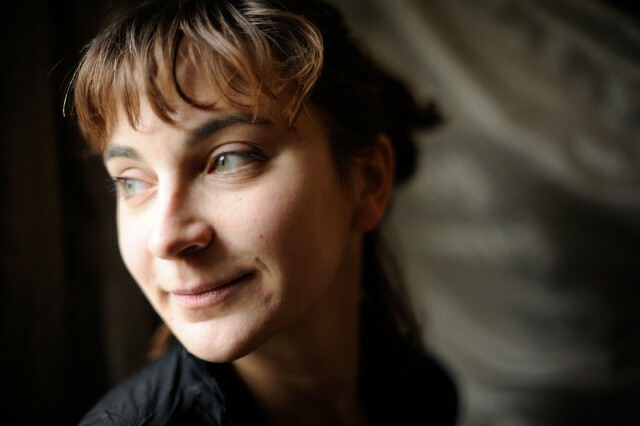 Gabriele was Artist in Residence at Dance 4 in 2008 where she developed her first solo Inventory/(Räumung). The Solo premiered at nottdance08 Festival in October 2008. In 2009 "Inventory" and a lecture performance on cities and spaces connected to the solo material was shown in Berlin (Tanztage), Santiago de Chile (Movimiento6 Festival), Utrecht (Europe in Motion @ Springdance) and London (The Place - springloaded). Gabrieles latest group piece tourist premiered at Uferstudios Berlin in September 2010. It was co-commissioned by the South Bank Centre London and nominated for the prix jardin d'Europe 2010 at idans festival Istanbul. As part of the Tanzplan Deutschland artist-in-residence scheme at fabrik Potsdam in Germany Gabriele developed the interactive dance piece Relay with choreographer Donatella Cabras and media artists Barret Hodgson of Vent Media. The work was performed at Greenwich Dance Agency in April 2008 and reworked for the Goodenough College near Kings Cross London in 2010. As a dancer, Gabriele has performed for choreographers Rick Nodine, Sioned Huws and Christoph Winkler and others. Gabriele is also a regular performer and facilitator in improvisation events in London and Berlin. Her performing, teaching and choreographic work is based on a continuous interest in improvisation, influenced by teachers such as Rick Nodine, Julyen Hamilton, Scott Wells, Andrew Morrish, Rosalind Crisp and Dieter Heitkamp. From 2008-2010 she was involved in the programming and organisation of the monthly Improvisation platform “Freistil” at Tanzfabrik Berlin and now co-curates the tri-annual workshop programmes at Tanzfabrik. Gabriele teaches Contemporary Dance, Improvisation and Contact Improvisation regularly in dance institutions in Germany, the UK and internationally and has also worked as a mentor for young people and dance students in the UK.